Viktor Ozerov, the head of the Russian Federation Council's defense committee, said that the capital modernization work of the naval base in Syria's Tartus will start by the end of 2017. MOSCOW (Sputnik) — Russia has started survey works at the naval maintenance facility in Syria's Tartus, which are necessary for its modernization and the capital works are expected to begin by the end of the year, Viktor Ozerov, the head of the Russian Federation Council's defense committee, told Sputnik Saturday. On Friday, a Navy source told Sputnik that upgrades at the naval base in Tartus would begin this spring and take around five years to complete. "The survey works were launched, including those, connected in particular with the construction of a pipeline for fuel. We have started to prepare documents and Syrian companies will carry out a number of [modernization] works. We have started to reinforce quay walls and reconstruct temporary facilities of security services into permanent ones," Ozerov said. According to Ozerov, the capital modernization work of the naval base will start by the end of 2017. 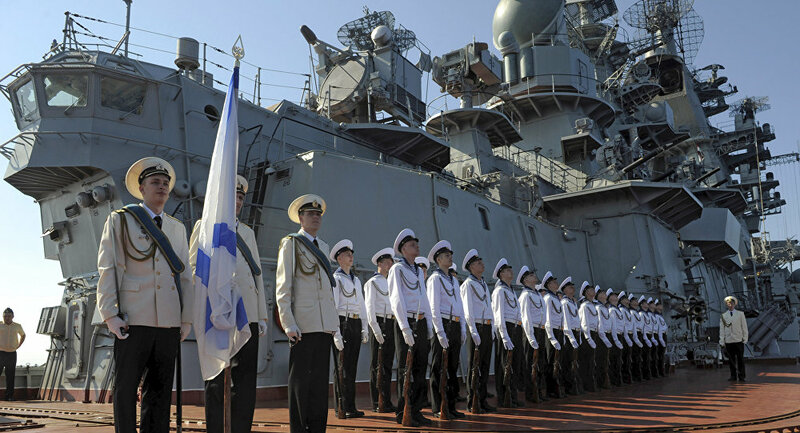 Tartus hosted the Russian Navy maintenance and support facility since 1977. Currently, the Tartus facility is the Russian Navy’s only support base in the Mediterranean Sea. The agreement between Russia and Syria on the expansion and upgrades of the Russian naval maintenance facility in the Syrian port of Tartus was signed on January 18. The agreement is supposed to be in effect for 49 years and to extend automatically for 25-year periods after that. The deal stipulates that 11 Russian vessels can be present in the harbor of Tartus at once, including the ships equipped with with nuclear marine propulsion, provided that nuclear and environmental safety guidelines are respected.